For some time I've been toying with the idea of giving a book review on the genocide in Rwanda for our residents of Wesley Court. 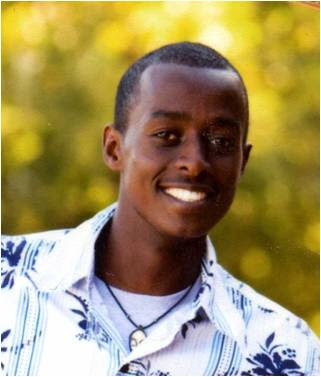 Our adopted son, Serge, is from Rwanda and survived the 100 days of hell on earth in 1994. He was six years old when it began and 7 years old when it ended. I wanted to present this horrific event in history in a way that would honor Serge and help others to understand the history leading up to the genocide and his country a little bit more. Yesterday I gave a book review at Wesley Court on the genocide in Rwanda. It was a very difficult topic to explore. Our residents really enjoy others giving book reviews. We've had fun and informative book reviews at Wesley Court and they always walk away saying what a great time it was. Yesterday was a bit different. I had prepared a power point presentation that had a lot of pictures and a time line leading up to the events of April 1994. Everything was prepared. We were meeting in one of the Dining Rooms at 3:30 in the afternoon. We had a good representation of residents. I lowered the room darkening blinds, turned off the lights and began the presentation. I hurriedly went through the presentation so as not to lose any others to slumber and quickly turned on the lights and called Serge to the microphone. We had a wonderful time of question/answer for him and he was his usual calm, charming and graceful self. All I really needed was Serge, not a powerpoint presentation!! I told the residents that I wanted to be like Serge when I grew up, but I didn't want to have to go through what he had to get to be like him. It seems that is the way it works, isn't it? There is someone you really admire and want their qualities, but then learn some of their story. You tell God, "Oh, I want to be like them, but..." There is always the qualifier, isn't there? Serge brought a new friend with him yesterday. Her name is Shannon Lair and she just graduated from ACU. Next month she is heading to Rwanda for two years. What a precious soul. I have been touched, and a bit awed, by your passionate desire to educate yourself in regard to the terrible events surrounding the Rwandan genocide. You not only honor Serge in doing this... but you also have helped many of us remember, better understand, and honor the memory of the hundreds of thousands of Rwandans who suffered and died during this dark chapter in our planet's history. Thank you. Vann is right -- it can't be forgotten, but I am just now almost braced enough to start peeking into it. Bless. You have such a wonderful heart. I am so glad that Serge is a part of your family.